VietPress USA (June 7, 2018): Rudy Giuliani, former New York city Mayor, is now the new Lawyer for President Trump at the White House. Recently he made off-the-cuff remarks about North Korea that the Secretary of State had to rebuff. 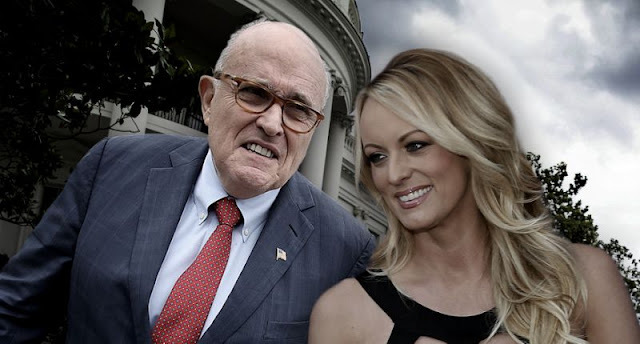 Giuliani also made claims about Melania Trump and Stormy Daniels that the First Lady's spokesperson had to shoot down. Lawrence asks, how much longer can Giuliani continue to damage the Trump admin? Many people strong ly request that Rudy Giuliani must be fired immediately. President Trump’s lawyer Rudy Giuliani doubled down Thursday on his assertion that adult film actress Stormy Daniels has no credibility because of her profession. During a panel discussion in Tel Aviv, Israel, on Wednesday, Giuliani was asked for his thoughts about Daniels, who received a $130,000 “hush money” payment from Trump’s longtime personal attorney, Michael Cohen, in October 2016 in exchange for her silence about the sexual relationship she said she had with Trump in 2006. The president has denied the affair. Giuliani said he believes Trump, citing Daniels’s appearance as evidence. Daniels is suing the president and Cohen for defamation.